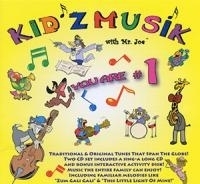 Kid'z Musik "YOU ARE # 1"
Download Kid'z Musik MP3 Files! Traditional & original tunes that span the globe! Two CD set includes a sing-a-long CD and bonus interactive activity disk! ©2019 Kid'z Musik. All Rights Reserved.